Six months after a 56-year-old West Virginia man died in a “relatively minor” car accident, Ford Motor Company confirmed Thursday that a faulty airbag was to blame. 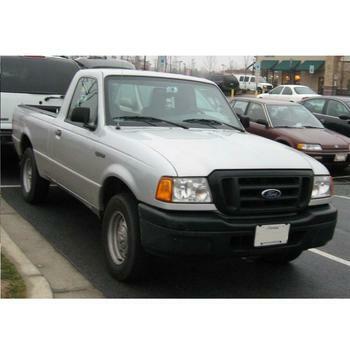 An explosive Takata airbag killed Steve Mollohan in July as he was behind the wheel of his 2006 Ford Ranger pickup, Ford confirmed this week. His case marks the 21st death worldwide linked to the airbags and the second linked to that make and model of Ford. The news sparked Ford to issue a warning Thursday to 2,900 owners of the 2006 Ford Ranger that they stop driving immediately. According to Reuters, Ford has offered to pay to have the affected vehicles towed to dealerships and will even provide free loaners. The sense of urgency now affecting some Ford owners marks a significant shift from the attitude that officials took toward Ford vehicles last year. In October 2016, the National Highway Traffic Safety Administration (NHTSA) singled out Honda and Acura vehicles with Takata airbags as needing repairs and told ConsumerAffairs at the time that Ford vehicles under recall were not considered a priority. Takata airbags are blamed for injuring an additional 180 drivers worldwide and are behind the largest automotive recall in the history of the United States to date. Owners of affected vehicles, even vehicles that were already repaired, continue to receive notices that their cars need repairs as the recall repeatedly expands. The scale of the problem has caused backlogs at dealerships, leaving millions of drivers with few options other than to wait. Takata began dominating the airbag market in 2004 thanks to its relatively inexpensive design that depended on the chemical ammonium nitrate to create a small explosion in the bag. Investigators later determined that the chemical can burn too fast, causing the metal canister inside the bag to explode in rare cases. Takata’s executives now face criminal charges and the company has filed for bankruptcy. A report last year found that over a quarter of used vehicles for sale at eight CarMax locals were under recall, largely due to the ongoing Takata problem.